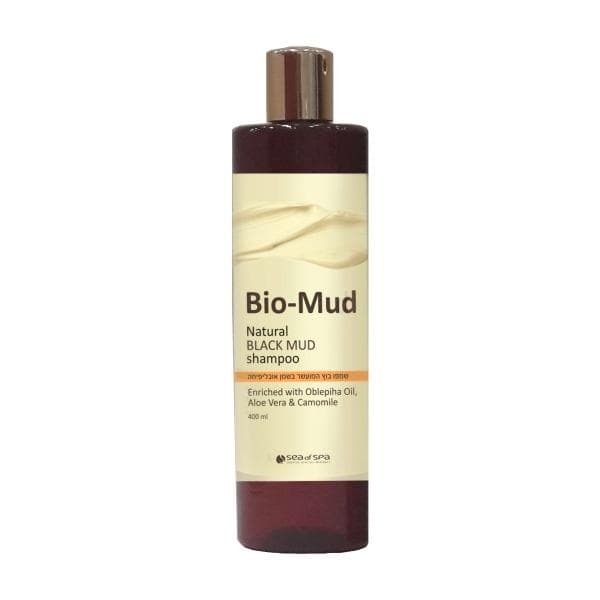 Bio Mud Natural Black Mud Shampoo contains natural Dead Sea mud and Sea Buckthorn Oil that help treat hair and scalp problems. Removes excess oil leaving hair clean and fresh for a longer time. The Bio Mud shampoo strengthens the hair roots, promoting hair growth and preventing hair loss. Contains also soothing and conditioning Aloe Vera and Chamomile Extracts, leaving hair soft and supple. Suitable for all hair types.